Fact: roofing materials do not last forever. It’s a certainty as sure as death and taxes. But knowing how much life is left in a shingle, asphalt or metal roof is more uncertain to the untrained eye. That’s why it’s critical to hire a certified home inspector when considering the purchase of a home. Knowing the expected useful life of a roof can play a role in the negotiating process or when deciding whether to add roof coverage to your home insurance policy or seek a more in-depth look at the roof’s condition. The inspectors at A-Pro Home Inspection Birmingham perform a visual inspection of the roof’s materials, which is part of a complete 500-point inspection. When it’s not possible to actually get on the roof, electronic means can be used to enable the inspector to report on the type of roof covering material and any signs of damage. First, it’s critical to find a certified home inspector well experienced in assessing the wide range of roof covering materials, including asphalt shingles, asphalt (architectural), clay/concrete, metal, slate, copper, simulated slate, coal and tar, EPDM rubber, wood, and others. Each material has its own life expectancy and tell-tale signs that indicate whether its years of useful service may be ending. Second, the home inspector should understand the factors that can damage roof materials, such as harsh climates; temperature swings; number of layers installed on the roof; the direction the roof faces; slope; quality of installation, ventilation, and maintenance; potential damage from adjacent tree limbs; and other considerations. When inspecting asphalt shingles, for example, a qualified home inspector will note general condition (from OK to “end of useful life”) and, if applicable, level of deterioration (from moderate to severe). The home inspector’s report will detail issues such as buckling and blistering; torn or creased tabs; damaged, loose or missing shingles; granule loss; tearing; craze-cracking; and splitting. 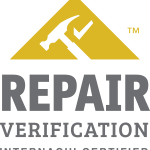 The home inspector will clearly explain the underlying issues that may have caused these defects, as well as report on whether these are cosmetic-only concerns or problems that may cut short the lifespan of the material. When noting the type of roof material, the home inspector may also report on the availability of like-materials in the event that replacements are needed. An inspection of a home’s roof materials goes hand in hand with other assessments — such as checking for moisture in the attic — that enable the home inspector to evaluate the roof as a whole. For a roof materials inspection and much more, hire a certified local A-Pro home inspector Birmingham, call (205) 538-2425.